You can find healing solutions too! Learn how the lessons in the Bible apply to you today. Below are some links that help show God is always with you and can help solve any problem you’re facing. Learn more at the Christian Science Sunday School. This newsletter is full of ideas to help you understand the Bible’s healing message. It’s based on the Christian Science Weekly Bible Lesson. Here you can find links to articles, podcasts, music and more! See how other kids are praying and turning to God at school, home, and play. Wherever you are – God is always with you! Lots of great articles, podcasts and healing experiences by teens and young adults dealing with their issues. 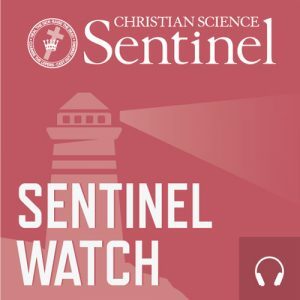 Hear how they’ve found healing when they’ve turned to God and prayed with ideas they learned in a Christian Science Sunday School. Subscribe to this weekly newsletter which brings inspiration to a topic of interest to youth. Bible notes, word definitions, cartoons, and photos to help you study the Christian Science Weekly Bible Lesson. Links to articles, music and inspirational ideas based on an issue such as depression, suicide, dating or exams.